This week we decided that we really should try and add Common Redshank to our 2018 year list. We had last seen them easily in the UK last year at Killingholme Haven Pits and they are easily found in the UK compared to around Broome. We had observed Common Redshank in Broome in 2015 and 2016 and we know you can often observe them close to the Common Greenshanks in Roebuck Bay. 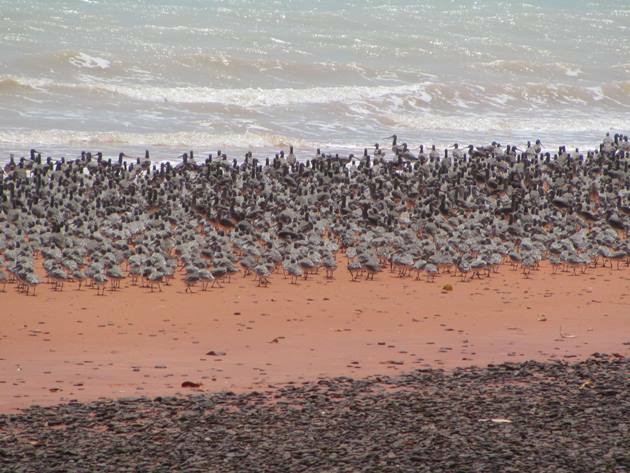 Whenever you want to observe shorebirds around Broome it is very important to check the tide. When the tide is out the shorebirds will be feeding on the mud and too distant to easily observe, especially when you factor in the heat haze. 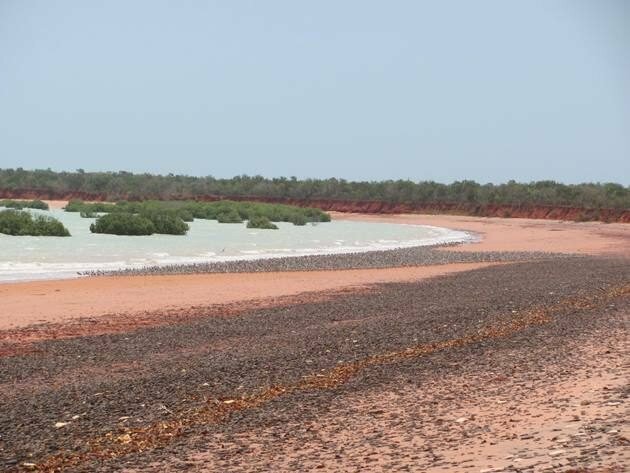 On October 30th the tide looked good and it was going to reach 8.33m at 13:41 and so we took the gravel road out to Roebuck Bay. The road is very corrugated and narrow in some areas and the condition varies throughout the year and can be closed after heavy rain, so you should check on the road condition website or call the Broome Bird Observatory before you leave town. Common Greenshank congregate in Roebuck Bay just beyond the Broome Bird Observatory in good numbers and it is an ideal location to look for Common Redshank. 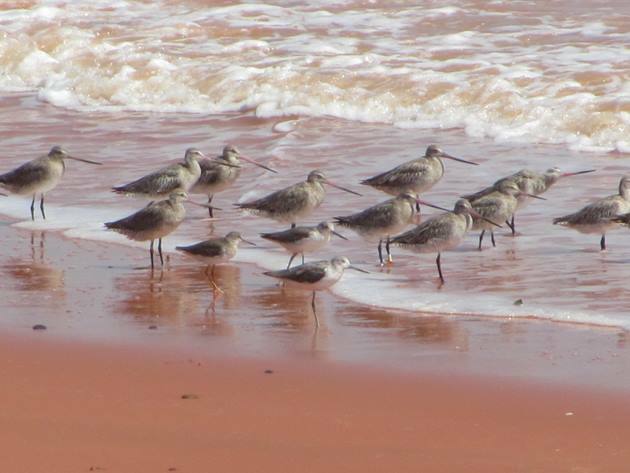 However, they are not the only shorebirds roosting in Roebuck Bay at this time of year. Thousands of shorebirds have now returned from their migration into the northern hemisphere to breed and they line the beaches of Roebuck Bay. The flocks of shorebirds are huge and you can easily observe several species of shorebirds in a few minutes. 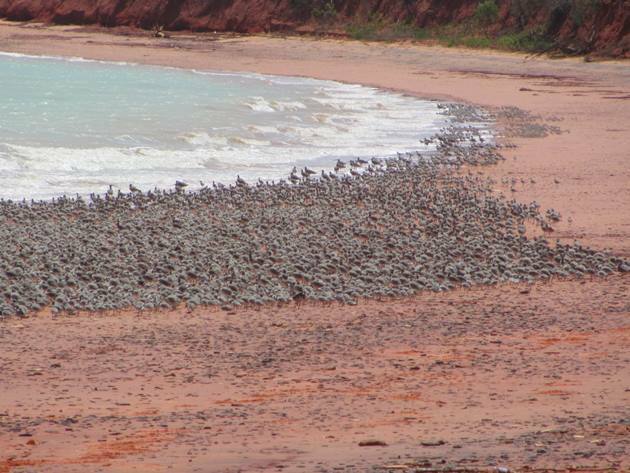 The shorebirds are almost the same colour as the rocks on the beach and merge into the rocks as the tide pushes them up. You can observe the shorebirds from on the beach itself or from the cliffs above if the tide is too high. Observing shorebirds on the very big tides is problematic, because they are a lot more nervous as the tide pushes them closer to the cliffs. This is why checking a tide chart is so important! The shorebird species are almost sorted for you! Common Greenshanks keep to themselves at the far end of the flock and Eastern Curlews stand alone close to the sea. Black-tailed Godwits and Bar-tailed Godwits are also often at the front of the flock and you need to watch out for Asian Dowitchers among them! Often the back of the shorebird flock is Great Knot and Red Knot jostling for space as the tide pushes in, but also keep an eye out for Curlew Sandpipers and Broad-billed Sandpipers. 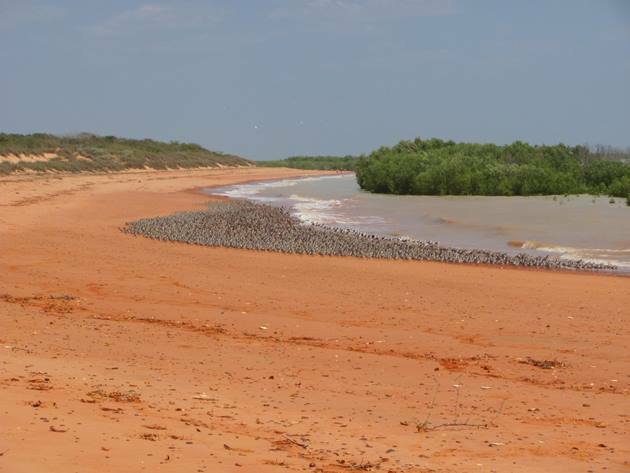 These large flocks of larger species may not produce all of the species in Roebuck Bay and you will need to check other beaches that have the smaller shorebird species in them. 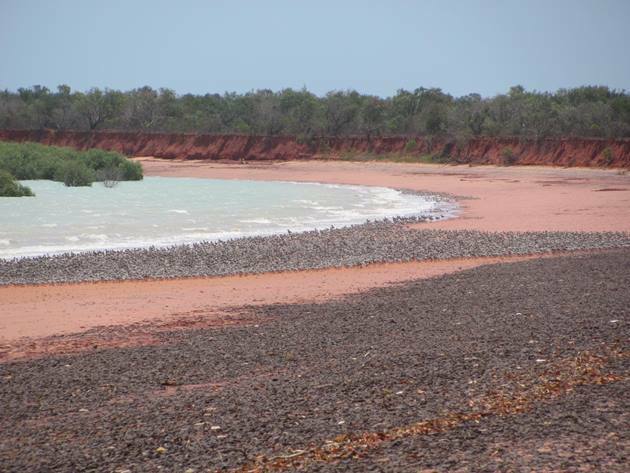 Thousands of Greater Sand Plovers, Lesser Sand Plovers, Grey-tailed Tattlers, Terek Sandpipers, Red-necked Stint and Ruddy Turnstones congregate on other rocky beaches on the other side of the Broome Bird Observatory. As you can see below there are no shortage of shorebirds at this time of year! Some flocks of shorebirds prefer to roost behind the mangroves and Black-winged Stilt are usually at the front of the flock stood in the sea. The shorebirds are constantly watching out for any threats and observing them through either your binoculars or a spotting scope you often see them turn their heads to the sky. Whistling Kites, Black Kites, Brahminy Kites and White-bellied Sea Eagles are a constant threat. We spent some time enjoying all of the shorebirds as the tide pushed them in and then concentrated on the thinner end of the flock where the Common Greenshank were. Thankfully that flock was not as dense after the tide turned and we soon found our Common Redshank. The Common Redshank was positioned next to two Common Greenshank, which is great for comparison between the two species. You can clearly see there is a Bar-tailed Godwit in the above photo on the far right with its “eye to the sky”! It is not every day that you can easily separate out the Common Redshank from the shorebird flock to enable you to photograph them, but we were lucky this week. This Common Redshank topped up our 2018 year list to 426 and all of the birds this year have been observed in Australia.